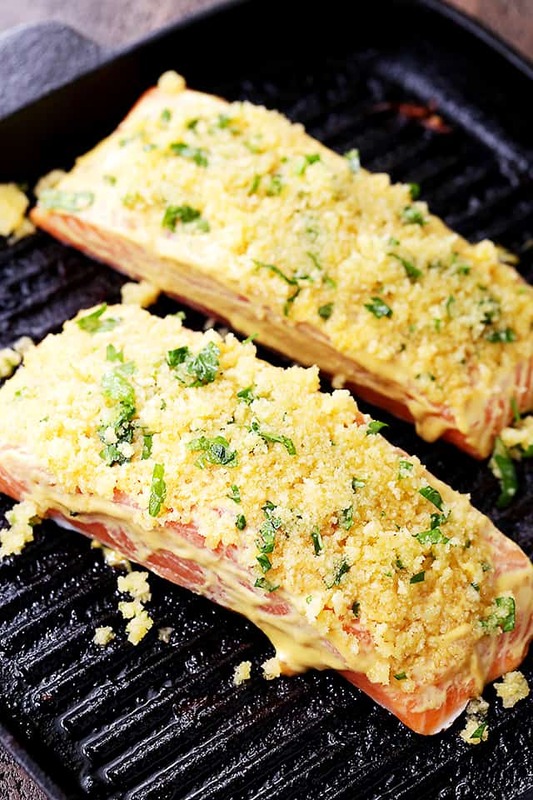 Honey Mustard Salmon – Flavorful and juicy salmon fillets brushed with tasty honey mustard and coated with a deliciously crunchy crumb topping. 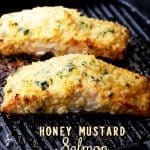 This Honey Mustard Salmon recipe is easy to make, it’s full of amazing flavors, and it’s always a crowd pleaser! Hallo friends! Hallo Monday. Welcome back, you sneaky day. I’d like to know; where’s that weekend that comes with a day for rest?! I spent most of these last two days in my car, driving to soccer, football, grocery store, and parking myself in the kitchen to work. I also vacuumed, dusted, did laundry, cleaned out closets, and so much moooore! I.AM.TIRED. For the rest of the week, I am going to ask this little family of mine to make huge clean-out-the-fridge bowls for dinner, and I’m not hating it. On the flip side; I looove to cook! And I love fooood. In case that wasn’t at all obvious. You know what, though? It’s been a while since we’ve had good ol’ fish for din din up in heah! Time to remedy that, eh? This is a recipe that I nearly forgot to show you. Actually, I did forget. It’s been sitting in my drafts for 16 months. And you’re probably like, daaaaang.iiiiitt. We were *thiiiis* close to missing out on Honey Mustard Salmon?!? To which I say, not so fast, brah, not so fast. Today is DA day. 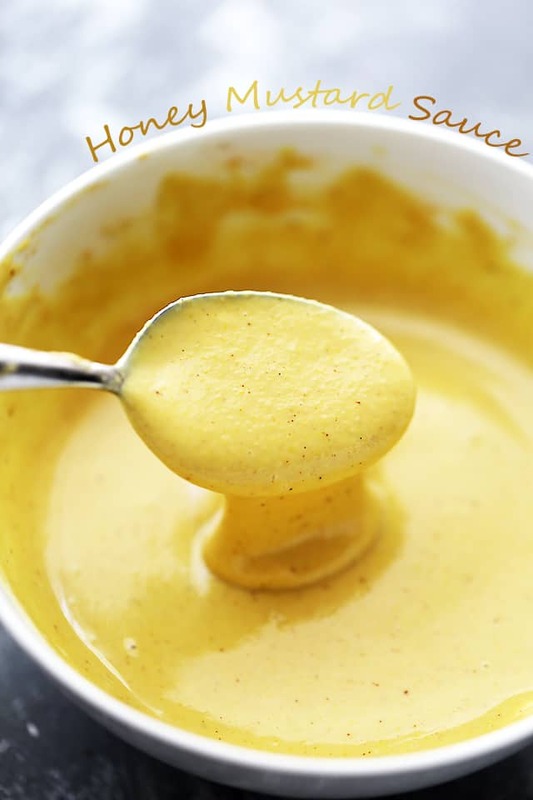 If you can remember, not too long ago we talked about my Honey Mustard Sauce – the one that I want to drink from a bottle because it is that darn good? That’s the sauce that in fact reminded me to look into my drafts to find this salmon recipe that I had forgotten about. And that’s the sauce that makes this fish so, so crazy incredible. I swear. To the moon and the stars and the sky. 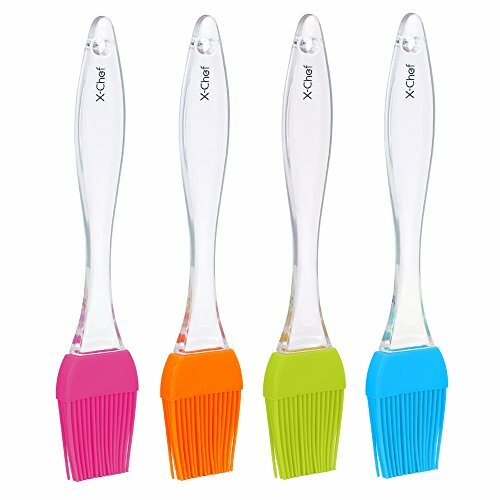 This will turn a fish-hater into a fish-lover. This meal comes together in minutes. About 30-ish-minutes. Then, you are going to need fresh salmon. Them things can be expensive, right?! But it’s soooo good. And very filling. Get a nice long and thick piece and cut it up in 4 fillets. 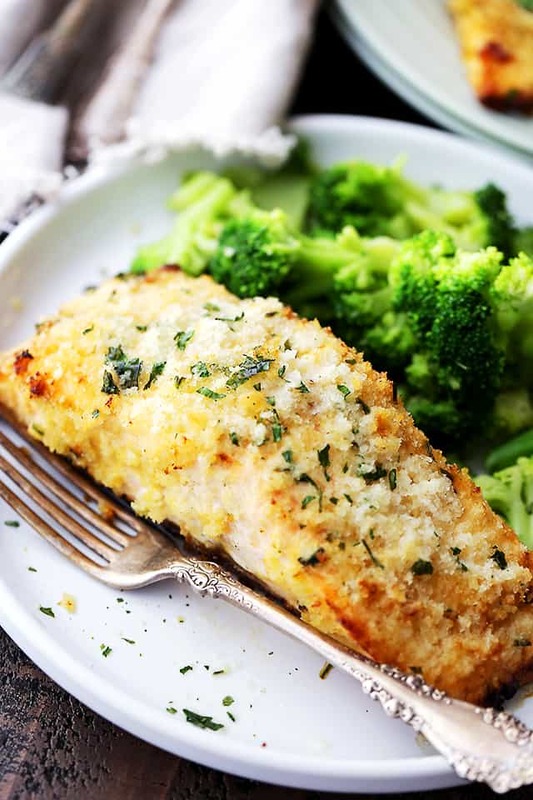 Brush it with the prepared mustard, coat it with the buttery panko crumbs mixture, pop it in the oven, and wait for the timer to go off. In the meantime, prepare some broccoli, or asparagus, even a big green salad. Honey Mustard on the side for dipping? Life changing. 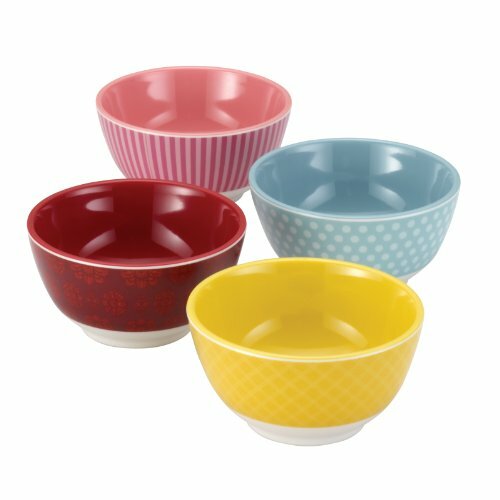 Cake Boss Countertop Accessories 4-Piece Melamine Prep Bowl Set,"Basic"
Honey Mustard Salmon - Flavorful and juicy salmon fillets brushed with tasty honey mustard and coated with a deliciously crunchy crumb topping. 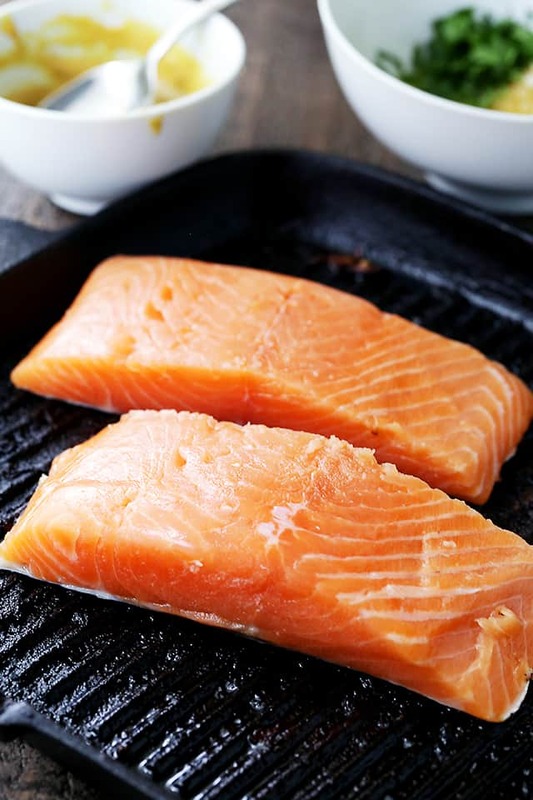 Brush each salmon fillet with the prepared honey mustard sauce; set aside. 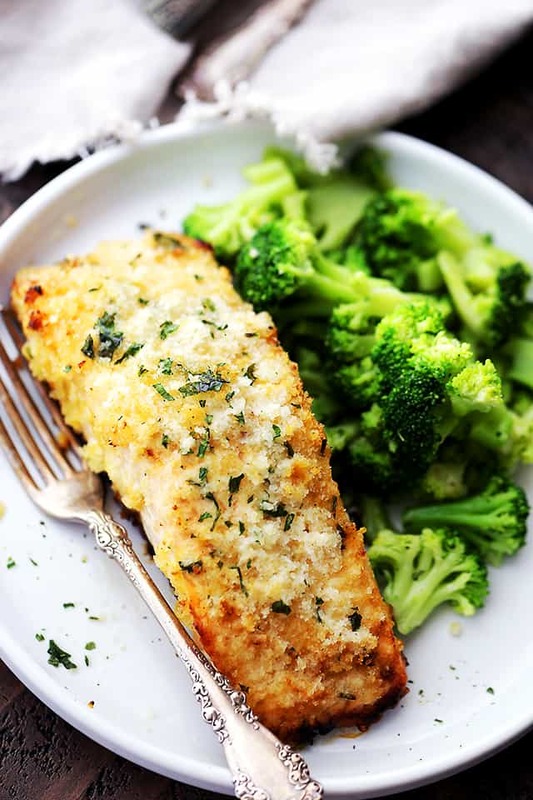 In a small bowl, combine melted butter, panko crumbs and parsley; mix until thoroughly wet and combined. 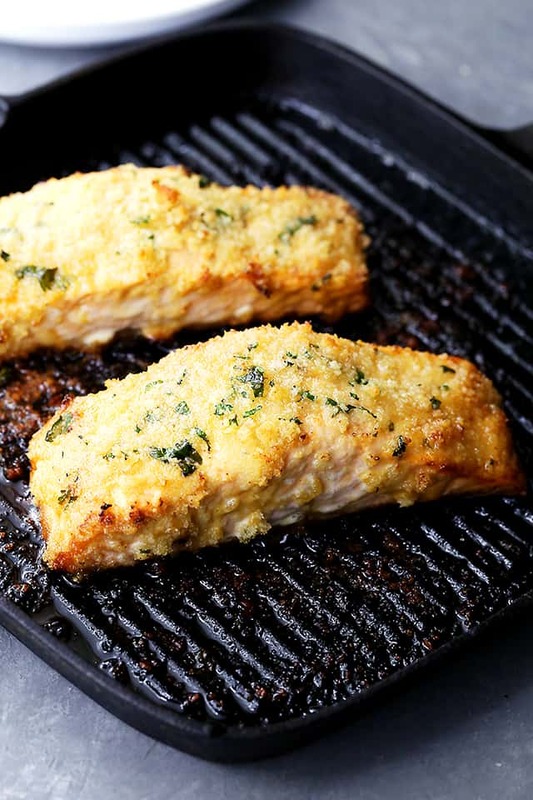 Press panko crumbs mixture evenly over each fillet. 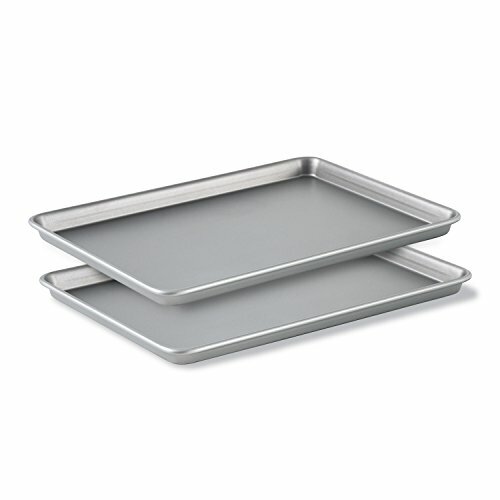 Transfer fillets to previously prepared baking sheet. 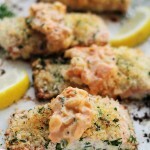 Bake for 12 to 15 minutes, or until fish flakes easily with a fork. I just put this in the oven! Along with some asparagus and crescent rolls! SO excited for this to come out of the oven! 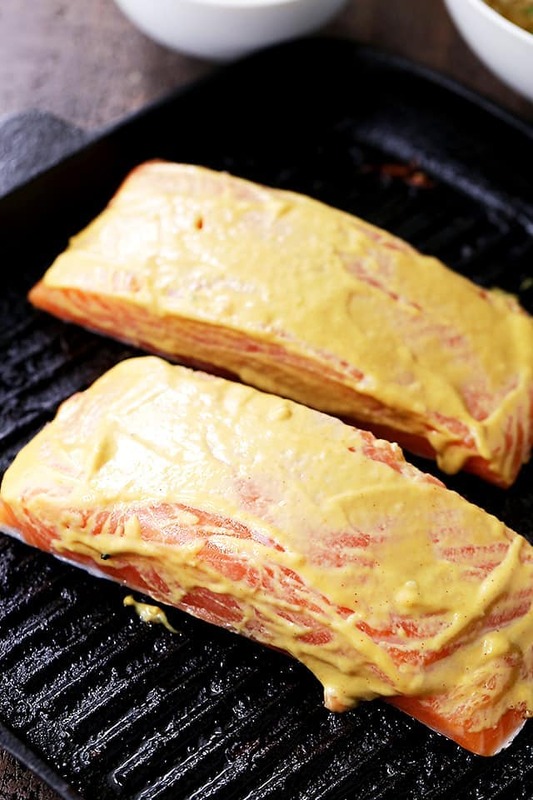 I am absolutely already in love with the honey mustard sauce, so I am betting the salmon is going to be fabulous as well! Thanks ahead of time! This looks yummy… copied and will try it soon. Thank you. 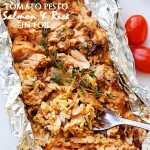 I love love love salmon, and this recipe looks awesome, but why is a serving size 6 to 8 oz each? That seems like a lot per person. 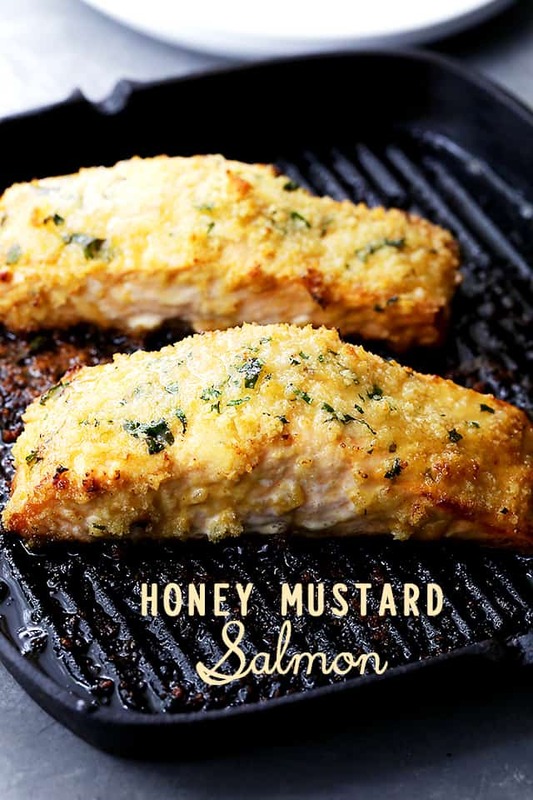 I love anything slathered in honey mustard and this salmon looks like a winner! 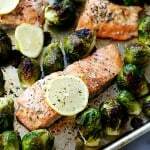 I’ve been looking for a good fish recipe to use! This one looks delicious! That looks and sounds glorious! Honey-mustard is always a winner! Not just the sauce, but that whole DISH looks life-changing! 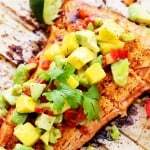 I don’t eat a lot of fish so I don’t always know what to do with it… but my one daughter is CRAZY for salmon and I bet she’d love this! Thank you for the inspiration!! It looks like a delicious meal.